After Pokemon Go hit the game market, the new genre of games came into existence and altered the traditional perception about games in general. Pokemon Go made millions of game enthusiasts to leave their premise and roam around from place to place to catch some peculiar fantasy animal on their mobile screen. The game became unbelievably popular and inspired a trend of mobile game development that involves built-in GPS, real-time locations and objectives to thrill legions of game lovers all over the world. Ingress was born long before Pokemon Go spread its magic all over. This game is based on the Augmented Reality technology, compels you to escape your house and travel a great number of portals to finish the quest successfully. The game gives exhilarating experience especially when played with your friends and neighbours. The game interacts with your smartphone’s GPS system to track locations. Gamers can rely on in-built map to find hidden energy sources and also keep the track of progress made by other players. More you gain control over portals, more real world points you collect, which can lead your faction to be a winner. The sci-fi theme of Ingress seems to more superior than Pokemon Go, and more robust and social. It has also earned the interest of wide global community over years. Developed by Niantic, Pokemon Go no doubt is the most beloved game for world’s zealous game players. It has quickly reached the acme in the world of outdoor dynamic games. 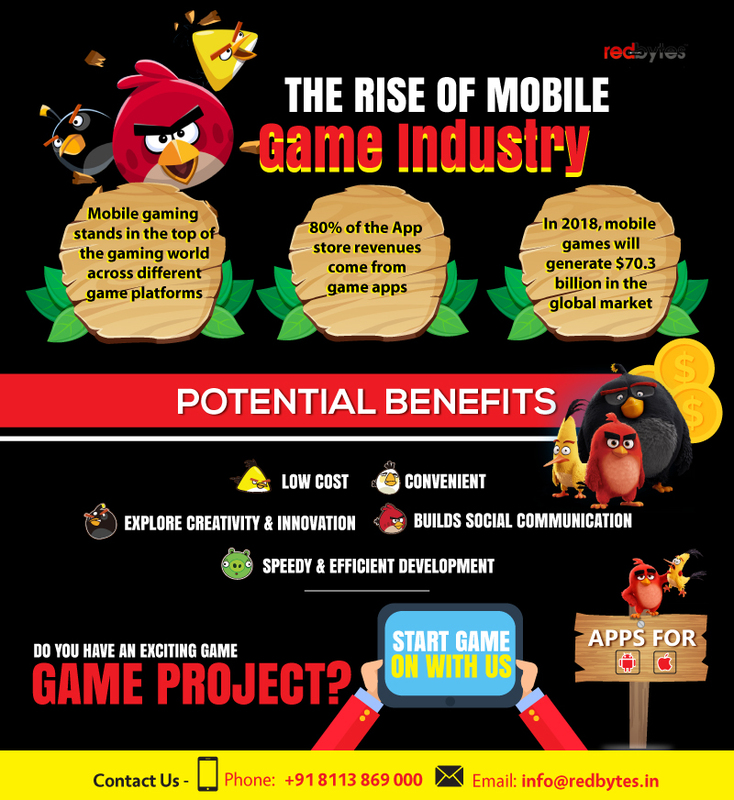 Its popularity has changed the conventional functioning of mobile game development. Ever since it went public, the game created whirlwind of interest among the audience. The idea of hunting for an imaginary creature (Pokemon) through chasing real world places and nearly erasing the boundary between the tangible and intangible really appealed to today’s spirited gamers. Pokemon Go has reached the record breaking downloads that touched close to 700 million. This is splendid success no less than a wonder. The historic success of the game encouraged new such game ideas for creative developers. This is a thrilling mission based game that captures player’s attention through its addictive theme where a player plays a hero and runs away from hostile zombies. All missions have a narrated story that you will have fun with. In the game, zombies come chasing you. So you will need to show enough strength and run with a fastest pace possible to escape them. While you enjoy the story, the game will allow you to decide on the favourite background music from the given options. Zombies, Run keeps you free from focusing exclusively on the game moves and lets you do whatever you like while playing it. You can take a walk or job along the beach, or stroll in the park or potter about your house. We all have once loved treasure games when we were young school kids, and we did enjoy finding treasure. Geocaching brings the same time back in your life if you are still very interested to relive those moments. It is one of the best examples of location-based GPS mobile game development. You can have best treasure hunting experience if you have Geocaching on your smartphone. In this game, you can track and discover geocaches scattered at many places across the globe. With friends, this game intensifies and offers exciting adventures that you may fall in love with. The best part is, you can send messages to your fellow players for hints about treasure locations. For members who really want to take their experience to next advanced level and gain higher access, Geocaching provides premium membership at a fixed price per month. CodeRunner is partially a game of intelligence as it explores the theme of account hacking and intrusive surveillances. The game manipulates the fact that we live in a digital world where our online operations often leave behind telltale breadcrumbs for government agencies, marketers and duplicitous to abuse. This is the ultimate theme for CodeRunner – espionage, hacking and surveillance. CodeRunner treats you as a government agent and gives you a mission to spy on hostile agents using real locations. You can also interact with other players and know some part of their play. Like many other games, CodeRunner gives new concept to mobile game development. It gets even more interesting with involvement of more players in your area. You can live your personal spy fantasy with this excellent game. Turf Wars as the name suggests has got surprising war-like elements and is a unique multi-player game. Here players can take absolute control over the real-world places in the game and even protect it from enemy mobsters (who are, actually, other players). Of course, we can’t take such actions in real life, which is exactly what this game offers you. Turf Wars leaves you with power to defend your territory from rival players, making your play even more addictive, exciting and fun. Inside the game, you can increase your calibre and defend your turf by using many different weapons and upgrades. Other players may have to pay for their protection and safety of their turf. You can grow your empire and obtain massive leverage against law enforcement. In addition, you are entitled to sharing messages with your friends and enemies about game strategy. Turf Wars can appeal most to those who love to indulge in the game of power and ambition to build their personal empire. Landlord is surely a terrific game for entrepreneurial minds who want to be a powerful real estate mogul with skills, luck and intelligence. Players will receive substantial in-game cash that they can invest to buy some portion of landmarks, local buildings and businesses. In this online business game, after buying a bunch of properties, you can make players pay fixed rent when they check in at the location from Facebook or Foursquare. Players can expand their business value and be a giant tycoon by trading or upgrading their properties with amenities like WI-Fi, Karaoke or VIP clubs, etc. Landlord definitely takes mobile game development to a great level. Here you can even earn referral points from players, and gradually, using your luck and cunning, you can be a superior tycoon in the game. Additionally, the game offers in-app s to get some more game currency using real money. This is another economic simulation game where you will explore your surroundings to find good resources and use them to manufacture new sellable products. In this multiplayer GPS mobile game development, you will scan your surroundings in the real world. Upon finding some useful resources (like mineral deposits), you can extract and process those minerals into products, encash on it, earn and ultimately upgrade your operations. You have a potential competition, though. Other players can attack, sabotage and even seize your land and build their mine in your area. You have a defence mechanism, too. You can hire workers to boost your power and vandalize other players’ mines. Resources might be a product of brilliant GPS mobile game development, but it is somewhat complex. Hence, it may not interest children and therefore works better for grown-ups. Also, the resource community actively brings new updates now and then. Parallel Kingdom is another majestic game that is made exciting with dungeons and castles that are scattered across the medieval land. It uses the real world map as provided by Google Maps. It stimulates players with 40 riveting levels, dungeons, classes, leader boards, events and chat rooms and many more amazing features. Of course, you can choose to play the game indoors, but venturing outside the house results into real-world experience of adventure. As you explore the nearby locations, you will encounter many enemy players vying with you in the game. The Augmented Reality game is around for quite some time. Therefore, players will not be disappointed in it. SpecTrek is a mindblowing augmented reality game that makes you hunt for ghost. In the game, you will chase imaginary story ghosts as if it is the real world adventure. Think about Winchester brothers in Supernatural while playing the game. Ghosts are added in pre-defined locations on Google map. Users can also define their search radius and can play it in various sessions like 15 minutes, 3 hours or 8 hours. SpecTrek is a popular GPS location centric game that players (even kids) can play with their friends. You just need to see to location and catch the ghost hiding there. You can track your progress, speed, distance travelled and even calories burned. Despite the fact that mobile game development experts are not regular in adding new updates to the game, SpecTrek makes chasing ghosts fun in real world. With the launch of the new gameplay ‘Recoil‘, Sky Rocket is turning a new category of competitive gameplay. While using this game, the player can turn any outdoor location to multi-player battlefield using the GPS enabled features. As its digitally enhanced, the GPS enabled technology used in this game allows almost 16 players at a time to involve in the battle field of the recoil world. With features like real-time weaponry kickback, 3D positional audio and AR based game play methods this gaming experience turns out to be more explosive where reality has truly caught up to the imagination of the players. This is a location-based game for Android users which work on the real world map of your neighbour. Once you register for the game, Google Map will be open and it divides the location into 4 grids. Once your grid is fixed, you can start buying lands. The land you own gets money which the player can reinvest in buying new lands. As it is GPS enables, to buy a land you need to be in that exact location and to keep winning you need to buy lands in wherever location you travel. Another interesting feature of this game is that you have a leaderboard and you get to check the status of other players globally and according can target on buying more land and thus strive to reach the top score. If you are planning a road trip, then this would be one of the best interactive GPS enabled game that can top your game list. While traveling, you can claim lands and further will have to fight against the oppositions. The character called Ol’Henry will be your guide in the game who will help you navigate and come across the claim jumpers. On the whole, this game is very user-friendly and can be played without any beforehand user experience. And the biggest wow factor related to this game is that it works on the real-time GPS location which will help you stake your claim. This is a massive multi-player online GPS-based game. The main aim of playing the game is to collect resources from the scattered places on Earth and the worker needs to collect them and send them back to their planet in-order to save it. With the help of the crystal resources, you can either increase or change your capability or the worker’s capability from the base. As you send most of the resources back home, you start earning points on the leaderboard. As the name indicates, this is a multi-player ant-controlling game that uses real-time location using GPS settings. Within the game, there are many species of ants who compete each other to get over the ground control. Once you start playing, you are one among them that will help them spread and dominate. The player needs to find colonies, expand them to breed, defend against enemies and other animals. When the colony that you have created becomes big, you can also start attacking other colonies. The above is the quite a comprehensive list of some of the magnificent GPS location-based mobile games you can try this year on your device. Each game offers unique quality and features for players to enjoy, and is different in its architecture, adventure level and the way it interacts. The best part is, these games are authentic and improves your lifestyle and fitness by forcing you to step out of your doors. As the methods of mobile game development grow and Augmented reality integration advances, we can hope to receive more new updates, challenges and themes in upcoming games. For now, these group games are enough to make your time big with your friends.